Protect your shower glass and extend its life by choosing Microtek, Fleurco's unique water repellent coating. Microtek uses the latest technology to offer easy maintenance and a hygienic environment. Microtek protects your glass for up to ten years. Click "More info" to learn more! European style and contemporary elegance combine in the Fleurco Evolution Monaco Tub Shield. 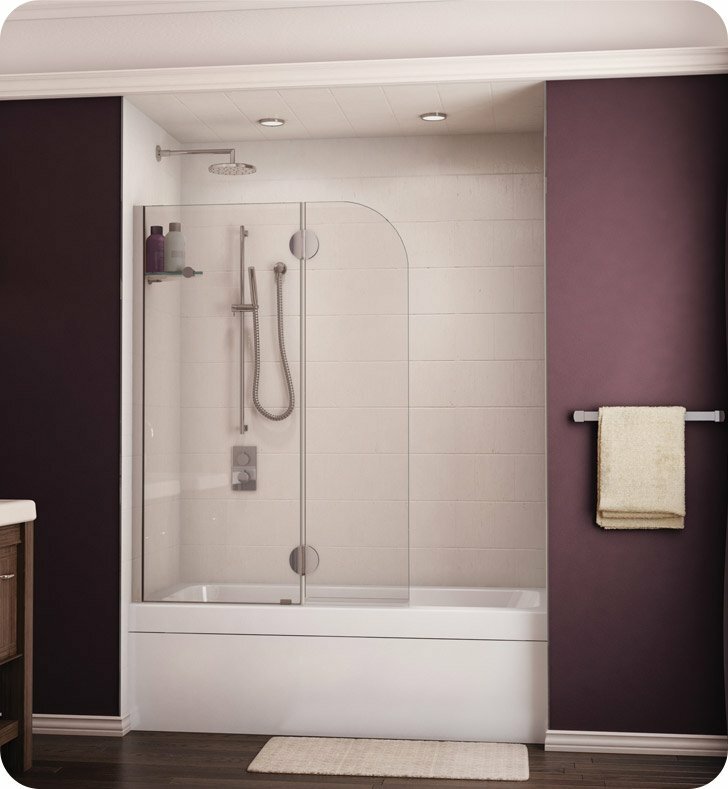 Its cleverly designed features like adjustable wall jambs, fixed panel, clear glass shelf support and deflector shield technology provide easy installation and make this one-door tub shield a handy and long-lasting device. The frameless round top design made of frosted or clear 3/8" tempered glass keeps the light and adds a sophisticated touch to the bathroom space. This product is available in various finishes to match any bathroom styling. Height to top of support bar: 59 1/2"
Pros: Well constructed. High quality throughout.